Each year the boys get a new ornament to put on our Christmas tree. Over the past few years we have added Royals World Series Champion ornaments, Star Wars ornaments, TMNT ornaments -- usually it's an ornament that means something to them during that specific time in their life. This way, when we look back at all the ornaments, they all have their own story. In the end, we create this tree full of memories. This year I was torn on what sort of ornament they may want or should get. Do we go with a cruise ship or something to do with a beach. Maybe we do a baseball theme since they played baseball this past year together. I just wasn't sure and they weren't really offering up any suggestions either. Brodi got sick and sadly we had to say our goodbyes to him in the middle of November. None of us were prepared for the sadness that would entail and for the emptiness that would follow. 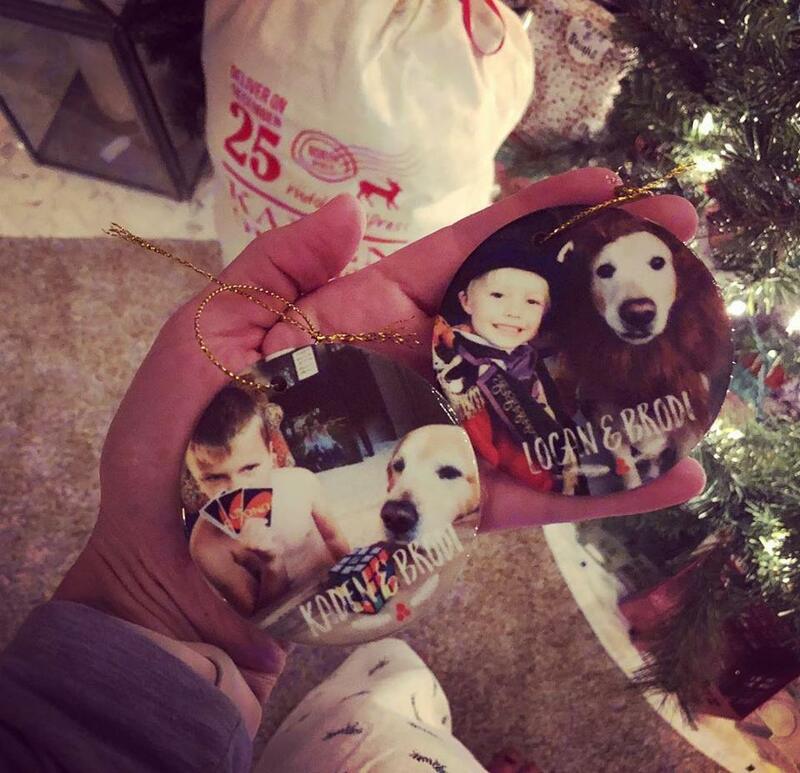 We missed him so much and I knew then, that he needed to be incorporated into the boys ornaments. I found PaperRama on Etsy and picked out a picture of Brodi with each of the boys. Brodi was so happy being Logan the Lion Tamer's lion. Brodi also loved being wherever the boys were, and in this particular UNO game, it was Brodi and Kaden vs. Stoli and I. To me, they were the perfect pictures to capture not only Brodi's spirit but also the love that he had for the boys and the boys for him.